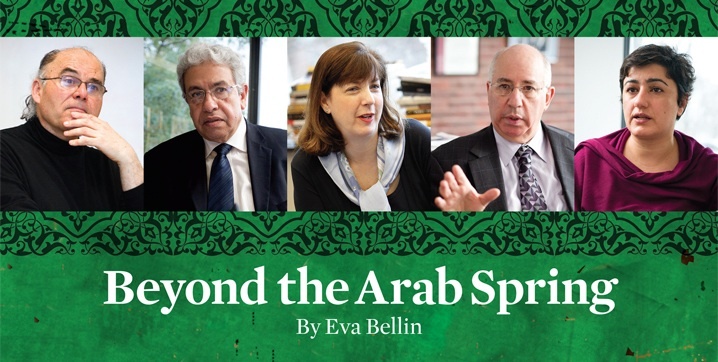 Can a season of explosive discontent on the Arab street pave the way for a more democratic future in the repressed region? Popular business humorist Stanley Bing does a hard-hitting interview with his archrival, media exec Gil Schwartz ’73 — aka Stanley Bing. A onetime Justice sports reporter looks back on the day Brandeis soccer socked it to them nationally. Undergraduates dig through archives to get a taste of the Jim Crow South. They don’t have to dig far. Myra Kraft dedicated herself to supporting scholarship, students and social justice.